Many images in Open Collections show places that, while once centers of railway or mining activity, are no longer as populous as they once were. This post explores historic towns in British Columbia. Some resources describe these as “ghost towns” – towns that were abandoned, have a very small population today, and/or primarily exist as tourist attractions. 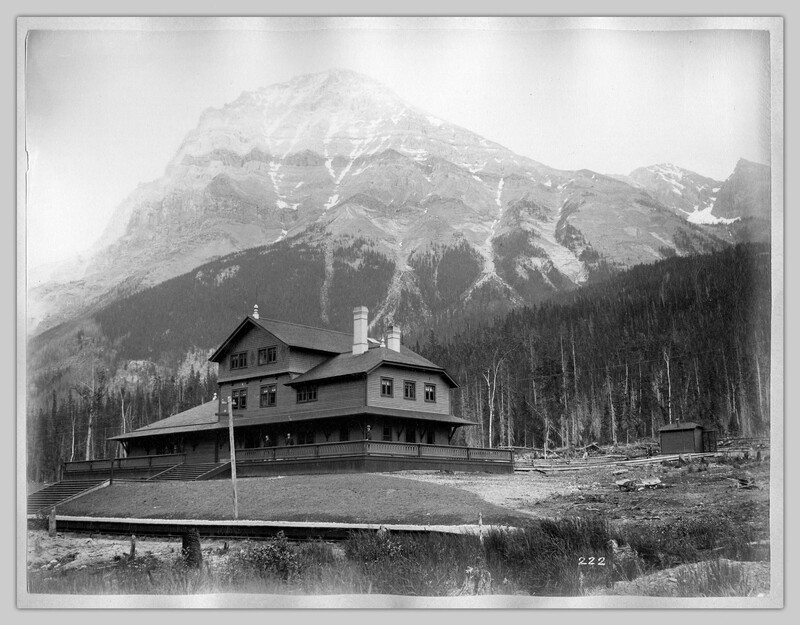 Located within Yoho National Park, the town of Field was founded in the 1880s, with construction workers for the Canadian Pacific Railway as its first inhabitants. The town was named after Cyrus West Field, an American businessman. Soon after the railway was completed in 1885, Field became a popular tourist destination for hiking. Cochrane, Fredrick E. C.P.R. railroad locomotive, The Dominion at Field, BC, September 1954. [Field, BC and Mount Stephen], [1888?]. 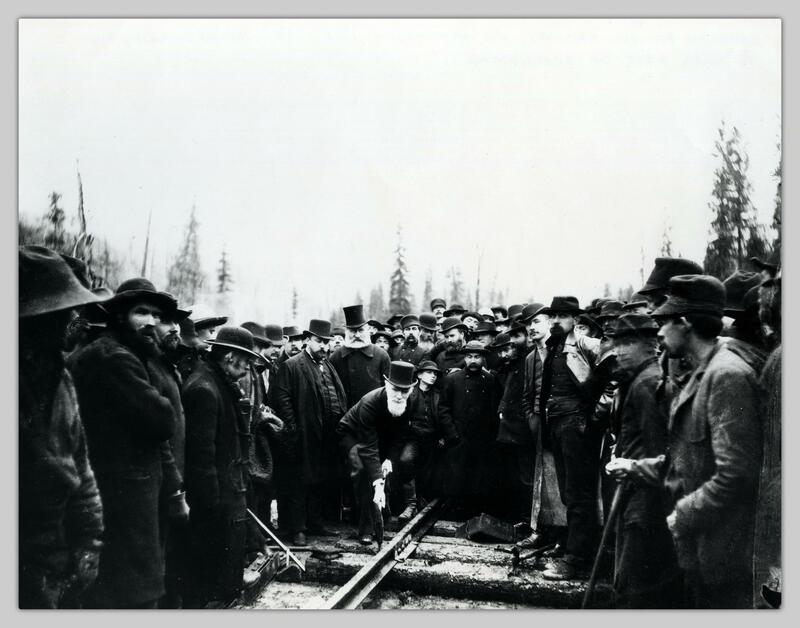 The story goes that George Stephen, the CPR’s first president, sent a telegraph message quoting “Stand fast, Craigellachie” when he successfully secured additional funding for the railway in 1884. Located just across the Fraser River from Boston Bar, North Bend was founded in the early 1880s as a CPR town. 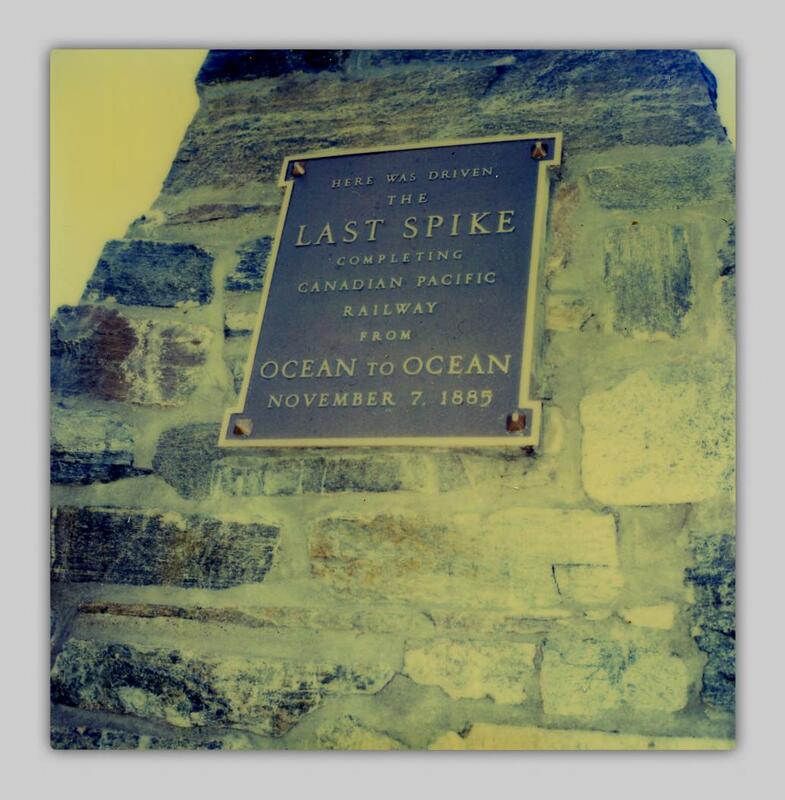 In addition to being a stop on the railway, North Bend was known as the location of Fraser Canyon House, another early CPR hotel. 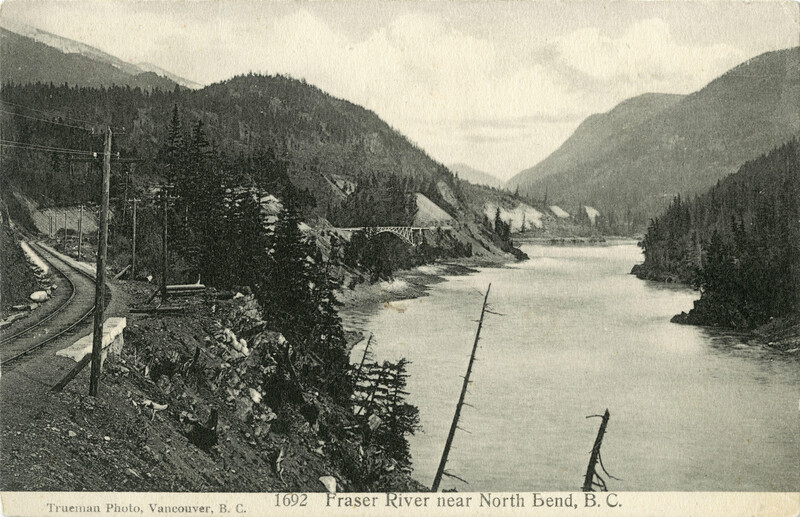 Fraser River near North Bend, BC, [not after 1909]. 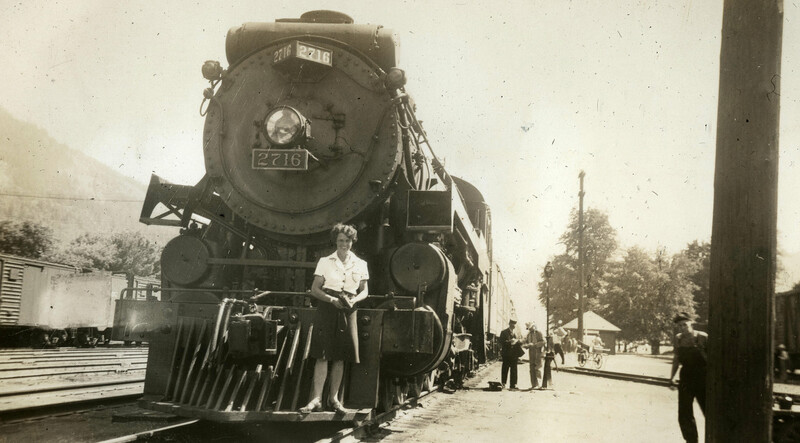 North Bend, [between 1930 and 1950?]. From Clara Wilson’s photo album, [Ten Annual Cycling Trips, 1938-1947]. 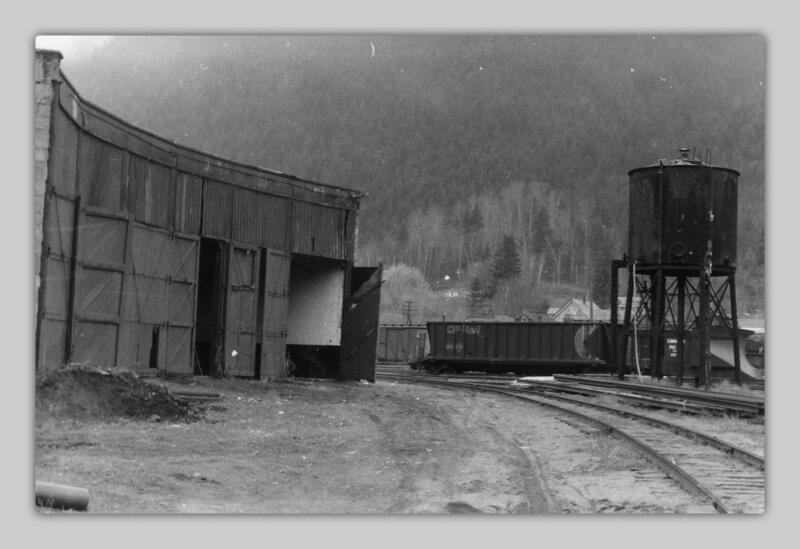 [North Bend Roundhouse C.P.R. railroad roundhouse], [1955?]. Today, there are still fewer than 100 residents of North Bend. According to the Boston Bar-North Bend website, “Affordable housing prices and close proximity to stunning nature have resulted in an influx of retirees and summer residents” in recent years. 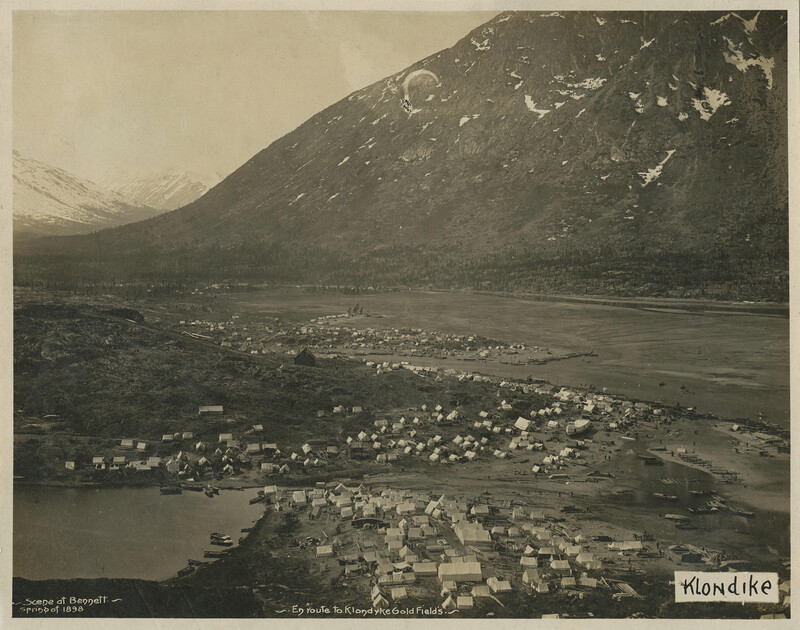 In the late 1890s, Bennett was founded during the Klondike Gold Rush. 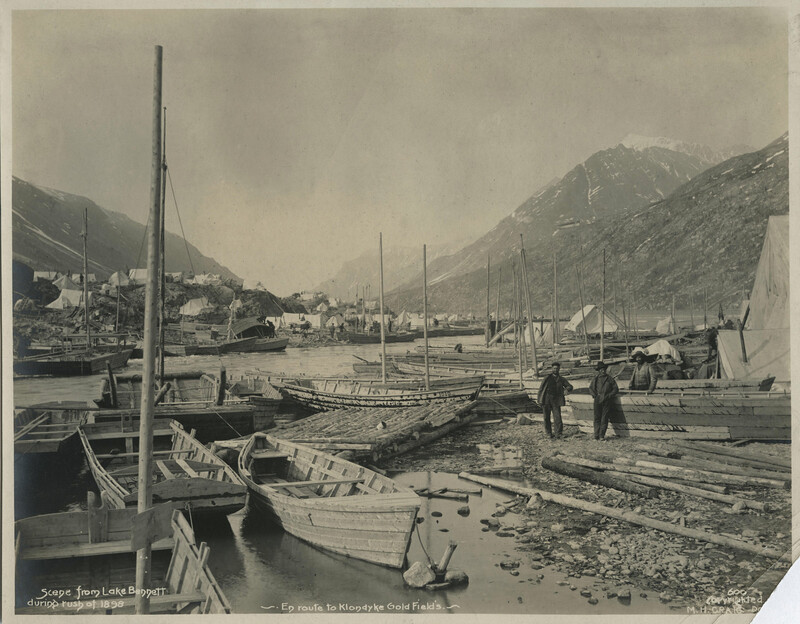 Bennett is located along the Chilkoot Trail, close to the Alaska and Yukon borders. During the town’s boom years, Fred Trump and Ernest Levin opened the Arctic Restaurant and Hotel, which became a popular destination for prospectors. Scene at Bennett, En Route to Klondyke Gold Fields, 1898, From the photo album, [En Route to the Klondike 1898-1901]. Craig, M.H. Scene from Lake Bennett during rush of 1898, En Route to Klondyke Gold Fields, 1898. 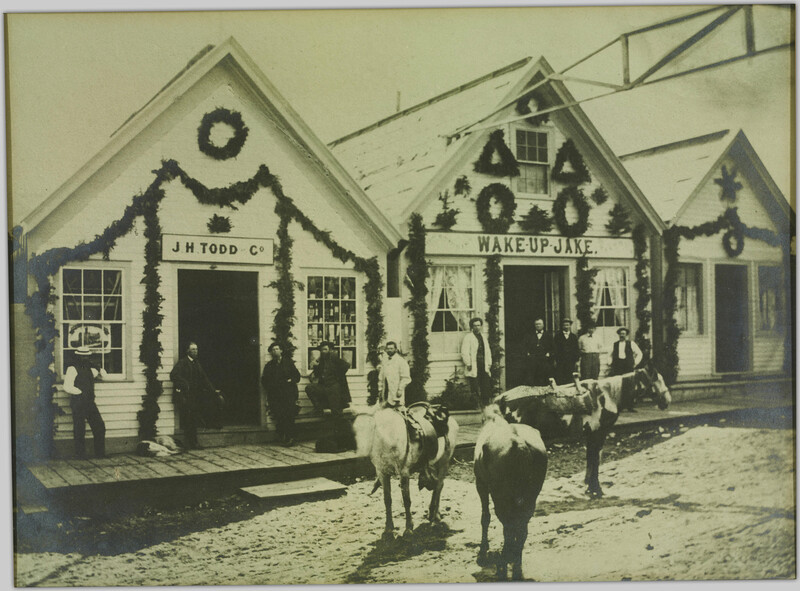 From the photo album, [En Route to the Klondike 1898-1901]. Currently, there are no roads leading to Bennett. 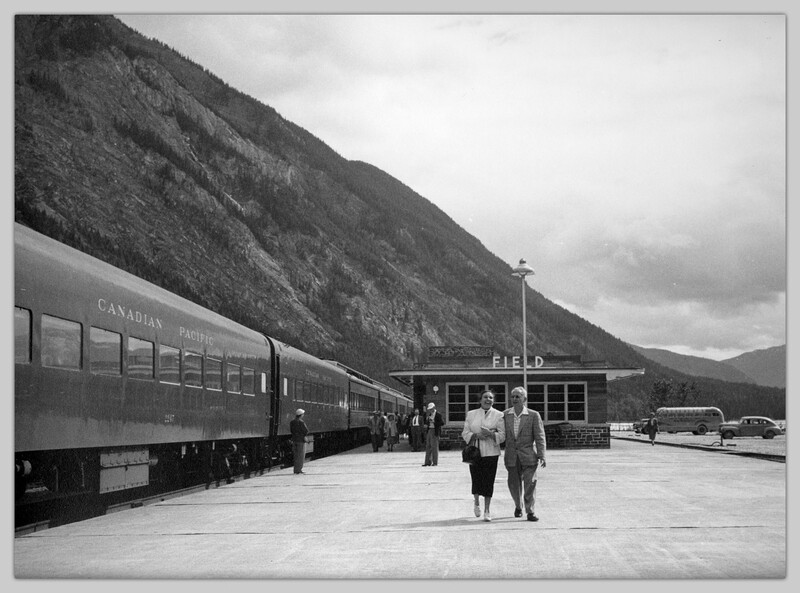 If you want to visit, you must arrive by train, taking a boat from Carcross, a charter floatplane, or hiking the Chilkoot Trail. However, there has been recent interest in renewing the town as a tourist destination; the Carcross Tagish First Nation and Parks Canada are collaborating to offer “high end camping trips” in Bennett during summers. 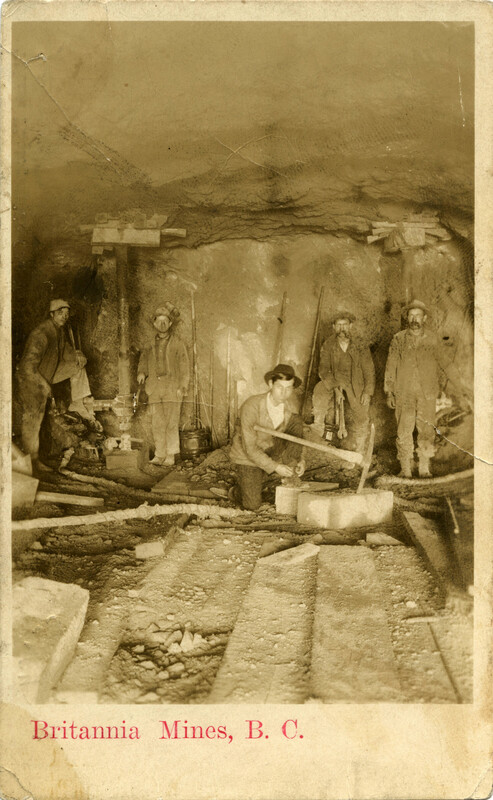 Several years after copper ore was discovered in Britannia Beach in 1888, the Britannia Mining and Smelting Company began mining operations there. 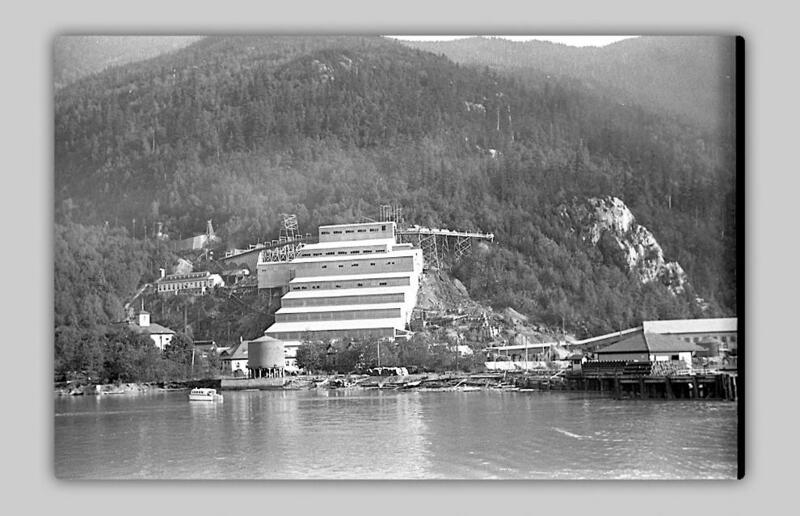 Located just south of Squamish, the Britannia Mines were one of the largest mining operations in Canada in the 1920s and 1930s. 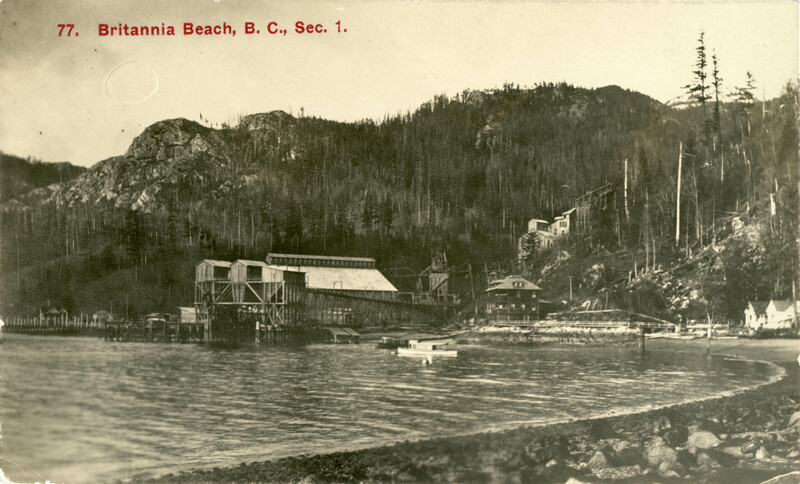 Timms, Philip T. Britannia Beach, B.C., Sec.1, . Timms, Philip T. Britannia Mines, B.C., . In 1923, the iconic concentrator shown below was built. After the mines closed in 1974, the Britannia Mines Concentrator was designated a National Historic Site of Canada in 1987, due to its technological innovations. Today, you can visit the Britannia Mine Museum at Britannia Beach, and learn more about the mine on the museum website. 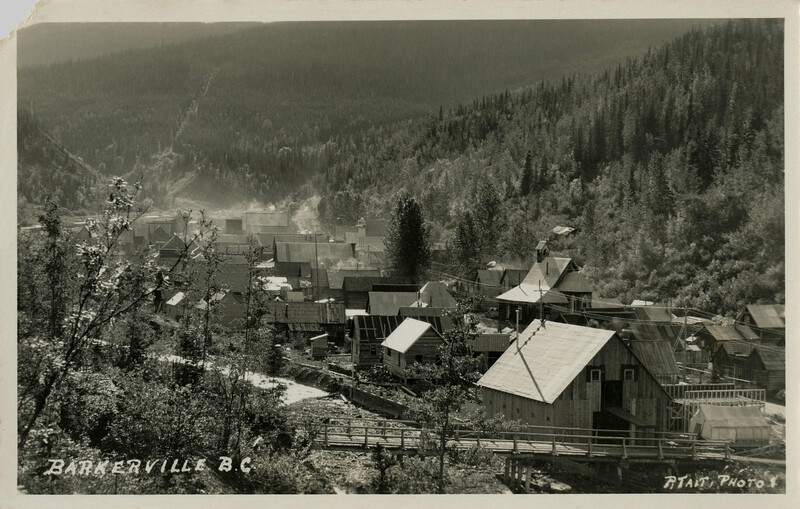 Barkerville is British Columbia’s best-known Cariboo Gold Rush town. Named after William ‘Billy’ Barker, who struck gold there in 1862, the town’s population was as large as 5,800 at its peak. Tait, Preston L. Barkerville, B.C., [between 1920 and 1930?]. 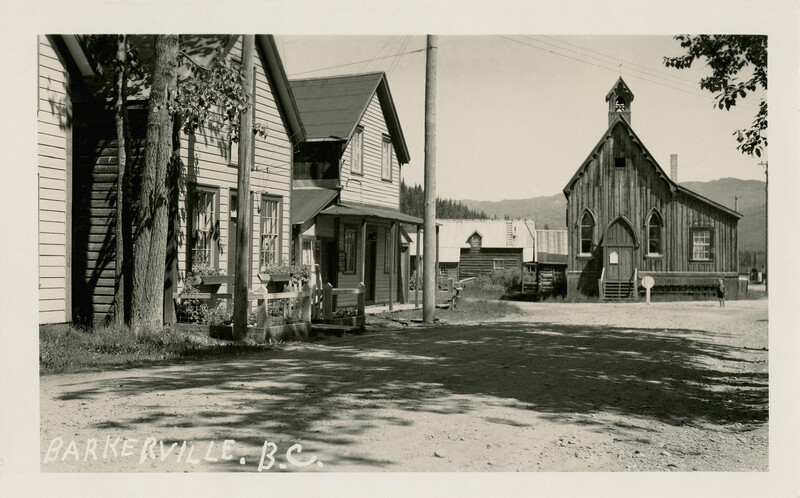 Barkerville B.C., [not after 1950]. Today, Barkerville is home to a living-history museum; you can learn more about the town on their website.